Thu., July 27, 2017, 10:11 a.m.
BUDAPEST, Hungary – Sebastian Vettel is putting thoughts of his Ferrari future on hold as he prepares to fight back against a resurgent Lewis Hamilton at this weekend’s Hungarian Grand Prix. The Mercedes driver trimmed Vettel’s championship lead from 20 points to just one after a brilliant win at the British GP two weeks ago. Vettel finished that race in seventh after a slow puncture late on deprived him of a seemingly certain podium finish. Although Vettel’s contract runs out at the end of this year, he says he is focusing so hard on winning the Formula One title that talks are taking a back seat. 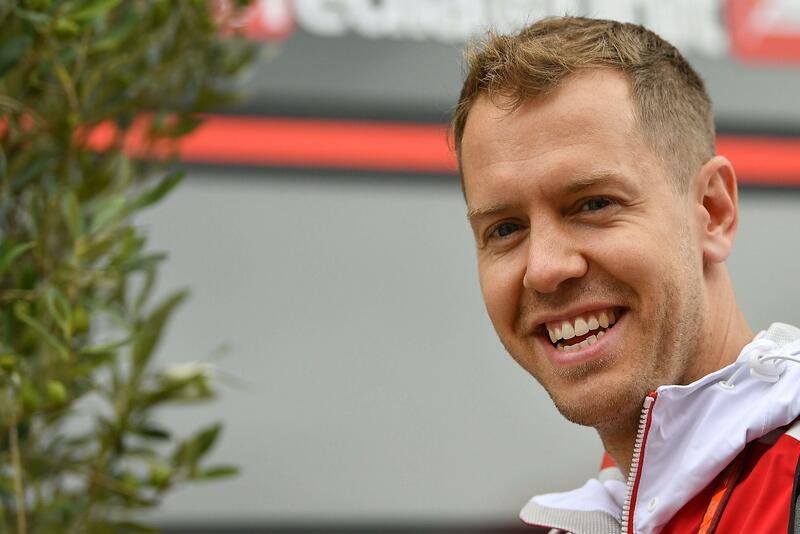 Ferrari has intimated that the decision is in Vettel’s hands – and that all he has to do is say `Yes’ to a new deal. Vettel did suggest that the month-long summer break, which follows this race, might be the time when a favorable decision is made. “I don’t see why not,” he said when asked if he wants to continue with Ferrari, amid rumors he could replace Hamilton at Mercedes, with Hamilton potentially going the other way. The 2018 drivers’ market promises to be as hectic as it is uncertain now. Ferrari has a double ambition this season: securing its first drivers’ title since Kimi Raikkonen won in 2007 and its first constructors’ title since 2008. Since then, F1 has been dominated by Red Bull – where Vettel won four straight titles from 2010-13 – and, for the past three years, Mercedes. Vettel’s three race wins this year have boosted Ferrari’s hopes of ending that drought, even though things went badly wrong at Silverstone. Formula One tiremaker Pirelli concluded that Vettel’s shredded tire in Silverstone was caused by a slow puncture. He was heading for third place until his front left tire suddenly blew apart two laps from the finish. Raikkonen, his Ferrari teammate, also experienced a similar tire failure one lap before Vettel in a remarkable finish, but then profited from Vettel’s mishap to take third place. It could be a good circuit for Vettel to get back on track. He won the Hungarian GP in 2015, and the twisting nature of the 4.4-kilometer (2.7-mile) Hungaroring circuit may favor Ferrari more than Mercedes. Mercedes struggled at this season’s Monaco GP, which is a similarly tight-turning track where overtaking is much harder. Vettel won in Monaco with Raikkonen finishing second, while Bottas was fourth for Mercedes and Hamilton managed only seventh spot. Hamilton, who has won the Hungarian GP five times, needs one more pole position to match Michael Schumacher’s all-time record 68. Published: July 27, 2017, 10:11 a.m.